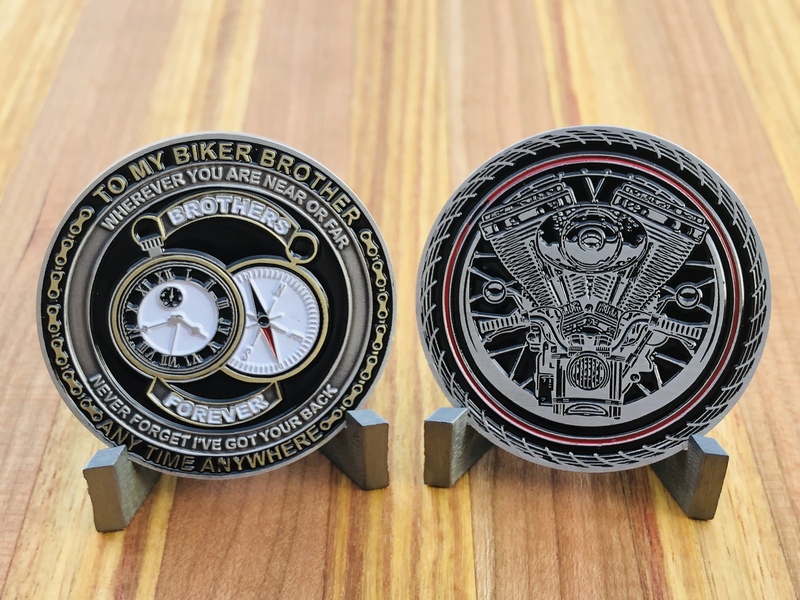 Available HERE on eBay along with the 1st coin I designed last month. This entry was posted on November 2, 2018 at 3:40 pm and is filed under American, American Biker, Biker, Brotherhood, Challenge coin, Custom Bike, Custom Motorcycle, Harley-Davidson, Motorcycle, Motorcycle Accessories, Motorcycle Collectibles, Motorcycles. You can follow any responses to this entry through the RSS 2.0 feed. You can leave a response, or trackback from your own site. Chain deco around the edge is a nice touch. Thank you for the nice comment on the coin. Very nice! I’m not a biker but I still think these are awesome!